Thai food is now world famous, associated with its health related qualities such as weight loss and anti-ageing properties. There are countless dishes in Thai culinary. Some are extremely nice as a profusion of exotic flavours and fragrances that have made its way smoothly into international cuisines. You can select the following Top Thai Food that is a rage among food lovers worldwide. 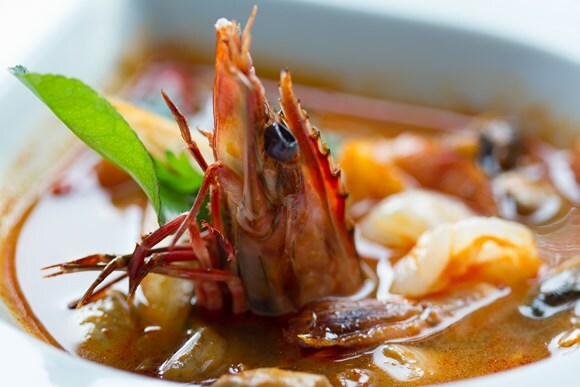 Tom Yum Goong: This is bold as well as refreshing with lemongrass, galangal, lime leaves, shallots, lime juice and fish sauce being the key ingredients giving a surge of herbal kick. Prawns and straw mushrooms make it versatile to fit with any meal. Its aroma is exotic and invigorating. 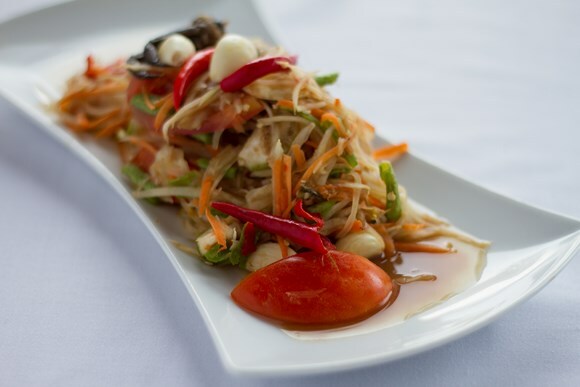 Som Tum: It is greatly distinctive; the ingredients are garlic, chillies, cherry tomatoes and shredded raw papaya pulverized in a pestle and mortar with a sweet-sour-spicy flavour. Tom Kha Kai: This iconic soup infuses fiery chillies, crushed shallots, lemongrass and tender chicken. The lashing of coconut milk softens its spicy intensity. It is topped off with fresh lime leaves and is both creamy and compelling. Gang Massaman: This sweet curry is a halal dish and is a mixture of curry paste, coconut milk, peanuts and cinnamon. It is usually pre-made with chicken and a few potatoes, delightfully soaked up in the coconut milk. Gaeng Daeng: This has morsels of meat, red curry paste, smooth coconut milk and a sprinkling of finely sliced kaffir lime leaves. It is an aromatic curry with the meat slightly tender and fragrant. Pad Thai: It is by default, the international dish of Thailand. Rich in fistfuls of small, thin or wide noodles as well as crunchy bean sprouts, onion and egg. The fun is in the apt use of condiments, fish sauce and chilli powder besides peanuts. Kao Na Phet: This roasted duck has a chicken flavour, with a selection of duck parts drizzled in duck stock. The exuberant duck soup will also get served with rice. 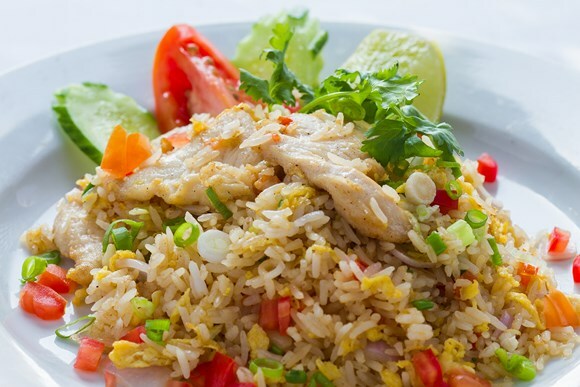 Khao Pad: It combines fried rice, onion, egg and herbs. This popular lunch dish is served with a wedge of lime and cucumber and is very simple. Gaeng Keow Wan Kai: This is an amalgam of chicken, eggplant, bamboo shoots, coriander and sweet basil. These elements make a great seminal curry. Yam Nua: It is the ‘Salad Hall of Fame’ , giving an experience of freshness, a fiery thrill of yam nua with onion, coriander, spearmint, lime, dried chilli and tender beef. Pak Boong: It is a blend of cloves, garlic and chillies soaked in sauces of oyster and fish along with fermented beans. Kai Med Ma Muang: The most sought after stir fried dish of tourists has chicken alongside roasted cashews, onions, chillies, pepper, carrots and mushrooms. A dash of honey makes it extra appealing and scrumptious. When you visit the best Thai Restaurants of your city, make sure you enjoy yummy Thai Food that takes you on an amazing gastronomical journey.